Zeiko Lewis is in the running for the USL Championship Fans’ Choice Goal of the Week – Week 5. 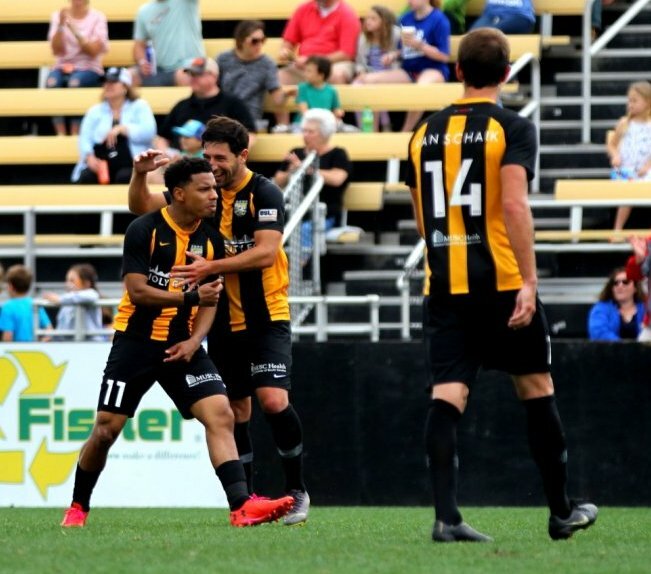 Lewis sealed the win for the Battery’s 2 – 0 win over the Charlotte Independence in the 71st minute. The play started from the touch line and an O’Brian Woodbine throw in would lead to the goal. Lewis controlled the throw nicely holding off a Charlotte defender before using his quickness to create space at the top of the box. The Bermuda forward hit a brilliant curling shot from 16 yards out that found the top corner of the goal.